After nearly three years of concentrated efforts to counter the U.S.-sponsored Trans-Pacific Partnership (TPP) and build an alternative trade block, China is now seriously considering the possibility of joining the TPP regime. “I think it does not make sense to have a world divided by different trade blocks. The U.S. should join the Asian Infrastructure Investment Bank [AIIB], and China should become part of the TPP,” said Wang Huiyao, the president of the Center for China and Globalization, and an advisor to the Chinese government. “The two sides should stop creating trade bottlenecks and join hands for the expansion of free trade,” Wang told VOA. He added that both China and the U.S. have a lot to gain if they worked within one trade regime. As the second biggest international trader, China can make a lot of difference to the emerging TPP mechanism, analysts said. 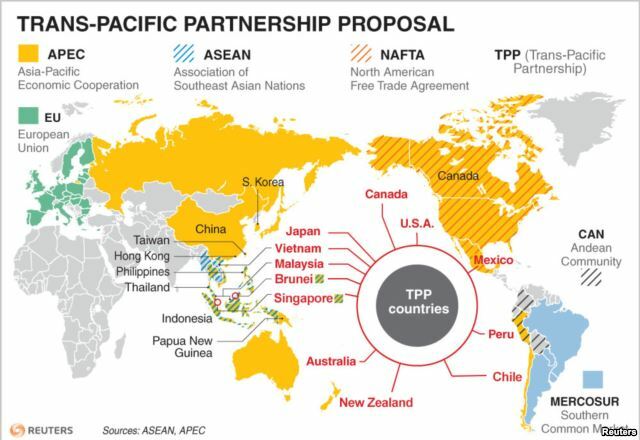 At present, 12 countries have agreed to join the TPP. At the Asia Pacific Council of American Chambers of Commerce in Beijing this month, a U.S. official made it clear that Washington was interested in attracting both China and India into the TPP system. This is in contrast to the impression among Chinese experts who think the U.S. has either resisted Beijing’s entry or planned to use the TPP to isolate China from a major part of world trade. Even if Beijing makes a formal decision to join the TPP, it will be a challenging task for it to meet some of the stiff environmental and labor standards laid out in the agreement. A vast section of Chinese industry has grown without any regard to environmental damage, and are often accused of denying workers some of their rights. But Diane Farrell, Deputy Assistant Secretary for Asia at the U.S. Department of Commerce, does not agree. She explained the TPP is elastic enough to accommodate the different conditions of different countries, and give each new member sufficient time to adjust to the standards. 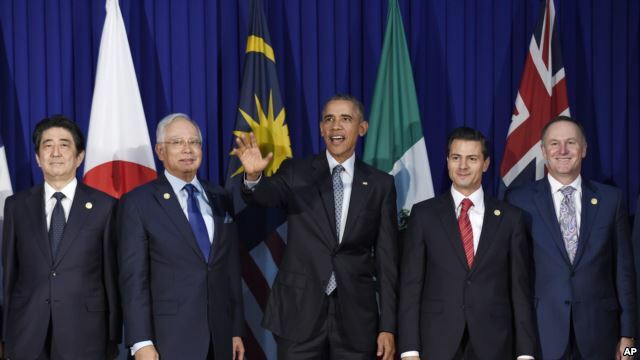 “The TPP has been designed to accommodate economies at different stages of development. The standards have to be implemented in a phased manner, and every country will get sufficient time to implement them. This is why Malaysia is in it,” Farrell said. In February, U.S. President Barack Obama said it would be bad for American businesses and workers if China were allowed to set rules of free trade. “And our concern there was that China was the 800-pound gorilla, and if we allowed them to set trade rules out there, American businesses and American workers were going to be cut out,” Obama said on February 22 at the National Governors Association reception while explaining why the TPP was conceived. At the same time, there is a sharp realization among many in China that it makes more sense to be part of the TPP regime if it becomes a reality instead of spending a huge amount of effort to counter it. Beijing has obtained some success in its efforts to create an alternative trade block under the banner of the Silk Road and Maritime Silk Road programs, in addition to the AIIB. About 65 countries have agreed to join at least one of them. The AIIB also recently entered into a co-financing deal with the World Bank. “The World Bank decision will upgrade the status of AIIB. It is already causing a lot of excitement across the world. I am sure the U.S. will begin to notice its importance soon,” Wang said. 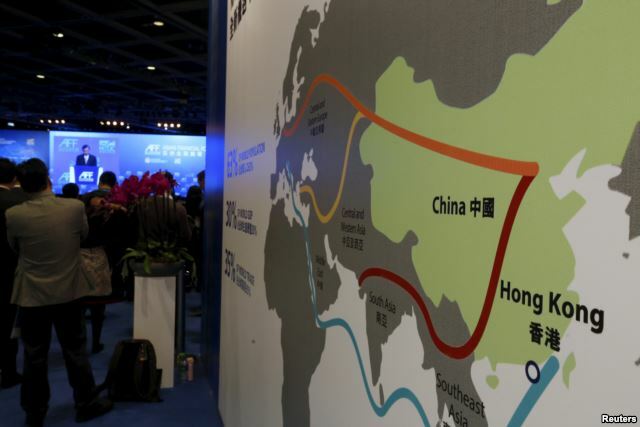 China has also proposed a free trade route with interconnected ports and roads, both existing and planned projects, running through Asia and Europe. It has also offered financial support and extended its construction muscle to many of the planned projects. The ultimate goal to is ease the movement of Chinese goods and counter challenges like the TPP, observers said. But the initial success on AIIB and the Silk Road program is closely linked to China’s ability to buy goods and services from different countries and finance projects in those regions. Beijing’s ability on this score has been weakened recently by its domestic economic slowdown. In fact, government economists have been closely looking at the possibility of joining the TPP for a long time, even as efforts progressed for the alternative “Silk” free trade route. “China should keep paying close attention and at an appropriate time, in accordance with progress on domestic reform, join the TPP, while limiting the costs associated to the greatest degree,” the Communist Party’s Study Times journal said in October last year. “China is currently working with the U.S. to discuss bilateral investment agreements in order to access the ‘national treatment before admission + Negative List’ mode as the basis for negotiations, in line with TPP requirements,” it said. In other words, China is quitely negotiating with the United States to dilute some of the aspects of the TPP. This may be possible to some extent. But U.S. companies that are demanding higher market access in China are unlikely to agree to major changes without a fight.